Monday – Ran 3 morning miles. Tuesday – I decided to do Insanity Max:30 Tabata Power. Wednesday – Ran 4 rainy morning miles. Thursday – Rest Day but did some walking. Friday – Ran 5 miles on the treadmill. Saturday – Ran 6 miles on the treadmill. Sunday – Rest Day. The highlight of the week was Halloween. 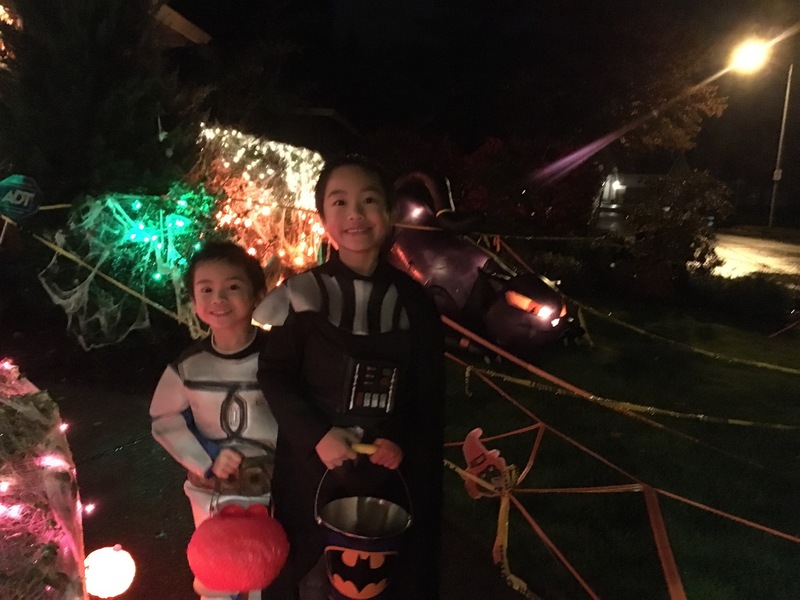 The kiddos had so much fun trick or treating. I took them to an outside mall early around 1pm. Then we continued later in the evening. This year was the first year we went further than our actual small development. We went to a lot more houses down our road and there were lots more decorated houses which was neat to see. Check out that big cat in the background. Its head actually moved. 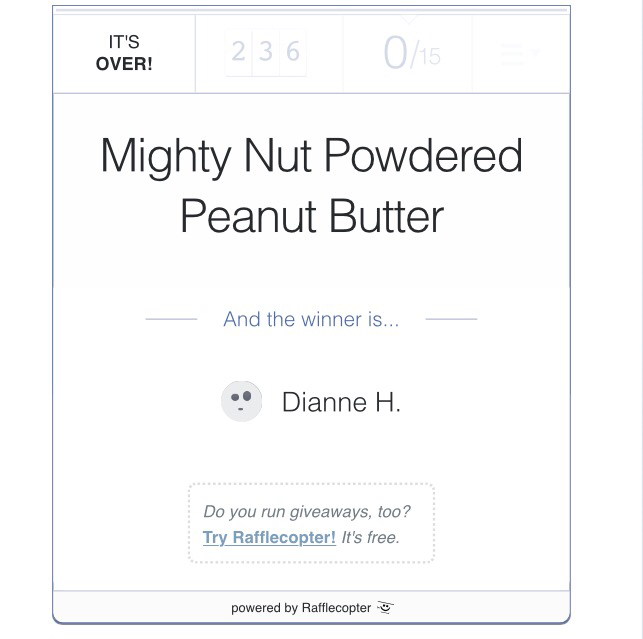 Also, congrats to Nicki J. who won the bottle of Mighty Nut Powdered Peanut Butter. How’d your week go? How was your Halloween? Have you used a BOSU? I love those shoes. Those are Brooks? I think I have an earlier version of them. Sounds like a nice week and the kids look like they were enjoying Halloween! Thanks! They are Brooks Pure Connect 3s. Great week of workouts! I’m not in training for anything right now either and it feels a little empty, if I have to be truthful! Thanks Wendy! It does feel a bit empty. Hope you have a great week! 83 miles is still a very impressive for a recovery month. Your kids are cute in their Halloween costumes. I think the oldest is Darth Vader and the youngest is a Storm Trooper? I’m so out of the loop on what’s in. LOL. I love houses that go overboard with the decorating! I appreciate you linking with us! Have a wonderful week. Thanks Holly! Hehe, not very many people know that my youngest was Jango Fett. I didn’t even know who he was at first lol. Thanks again for having this wonderful link up! 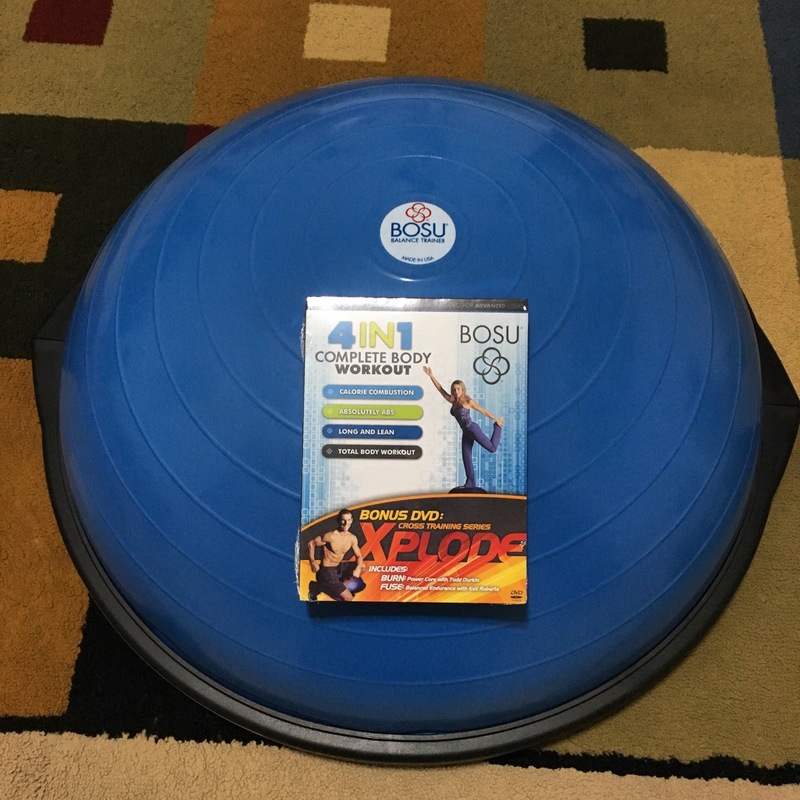 Great week of staying active and how cool is that you won a Bosu! You and your kids will have a ball on it! I see lots of pictures of workouts with the kids in your future! Looks like you all had a great Halloween too! Thanks so much for linking up with us! Have a great week! Thanks Tricia! I’ve tried one workout with the BOSU and love it so far! Hope you have a great week and thanks for having the link up! I know the feeling of going from running a lot of miles to very few following your goal race. I’m starting to build back up my mileage to have a good base for when training starts in January. Your kids are very cute! I have a BOSU ball and really love it. Even if I’m not doing a workout on it, even just standing it on on one leg is a workout! Hope you enjoy it! Thanks Jennifer! I need to keep a good base on mileage. I’m definitely enjoying the BOSU so far! I have a hard time staying motivated when I don’t have a race on the calendar. 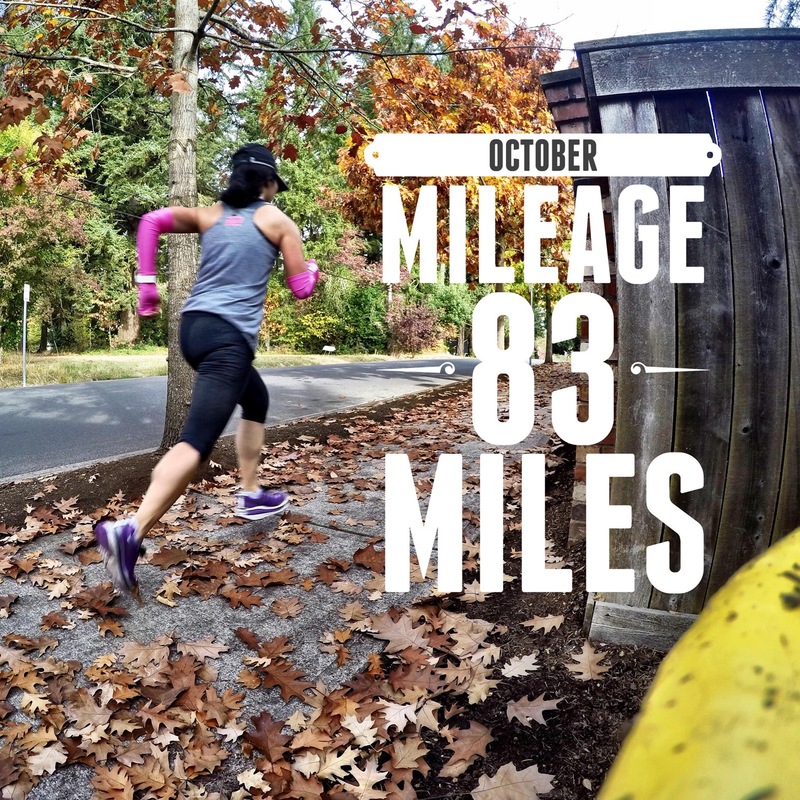 83 miles is quite impressive for a marathon recovery month. You’re body needed the rest. Your boys look cute in their Halloween costumes. We didn’t have many trick or treaters here. Thanks Debra! I was surprised we saw a lot of trick or treaters in the neighborhood we went to even if it was raining. Congratulations on winning the Bosu! I knew you would – your pictures and workouts were awesome! Awesome October miles and great workouts. I bet the boys did have a blast during Halloween. They are so cute all dressed up! Thanks Diane!! I was so happy that I won! 🙂 The kiddos had blast on Halloween.